New research from Northumbria University in the UK has found that popular herbs such as peppermint can boost memory. Presented at the annual conference of the British Psychological Society last month, the researchers say the beneficial effects were particularly significant in older people. Building on similar work conducted previously, their findings effectively pour further ridicule on claims that the benefits of natural health approaches are not scientifically proven. In one of the various tests conducted, 180 participants drank either peppermint or chamomile tea. For comparison, a separate group consumed only hot water. After analysis of the results, peppermint was shown to enhance and arouse both mood and cognition, clearly improving long term memory, working memory, and alertness. Chamomile, on the other hand, had a calming, sedative influence on the study participants. Previous research conducted at the same university has found that herbs such as sage and lemon balm can similarly have positive effects on improving mental performance. Notably, therefore, in the scientific literature, there is now widespread research showing the efficacy of herbs and other natural foods in controlling health problems. 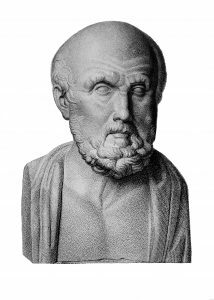 Hippocrates (460-370 BC), a Greek physician often referred to as the “Father of Modern Medicine”, is famously believed to have recommended: “Let food be thy medicine, and medicine be thy food.” However, with its now almost total reliance on the use of drugs, the practice of medicine today has essentially forgotten the age-old wisdom of these words. Worse still, at the international level, strict regulations on nutrition and health claims – such as those based on the standards and guidelines contained in the so-called Codex Alimentarius – are increasingly preventing consumers from being told the facts about the beneficial properties of foods. Consider the results of a study published in 2016, for example, which found that a simple combination of garlic and lemon juice reduces cholesterol levels and improves blood pressure. Carried out by researchers from Iran in the form of a randomized clinical controlled trial, the study involved a total of 112 people diagnosed with moderate hyperlipidemia. A disorder in which patients have elevated levels of cholesterol, triglycerides, and other lipids in their blood, hyperlipidemia is considered a risk factor for cardiovascular disease. While, thanks to Dr. Rath’s discovery, we now know that elevated levels of these substances are not the cause of cardiovascular disease but the consequence of vascular damage that occurs due to deficiency of vitamin C and other nutrients, the sale of statins and other drugs to reduce such lipids remains a multibillion dollar business. The patients participating in this Iranian study were divided into four groups. The first group received 20 grams of garlic and 1 tablespoon of lemon juice daily; the second group received garlic only; the third group received lemon juice only; and the fourth (control) group received neither garlic nor lemon juice. The results showed combining garlic and lemon juice significantly decreased levels of total cholesterol, LDL cholesterol, and the adhesive protein fibrinogen. Moreover, for both the garlic/lemon juice combination and garlic alone, an improvement in blood pressure and body mass index (BMI) were also observed. So why don’t garlic and lemon displays in our supermarkets contain information about this study? 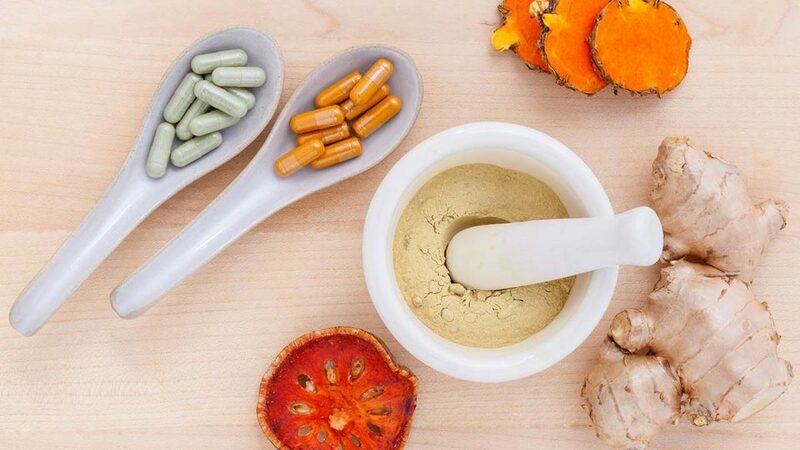 In many countries today, herbs, foods and food supplement products can be at legal risk of contravening drug and medicine laws if claims are made about their effectiveness in preventing, alleviating, treating, or curing diseases. In such situations, it matters not whether scientific studies exist to support the health claims being made for them. The only consideration is whether such claims have been officially “authorized”. So while research may clearly show, for example, that peppermint and chamomile can boost mood and memory, or that garlic and lemon juice reduce cholesterol levels and improve blood pressure, government authorities may simply refuse to accept this as “proof”. To help enforce these regulatory controls, specific words may be strictly prohibited from being used in connection with marketing materials. A notable example is the term “superfood”, which has essentially been banned from use throughout Europe. So scientifically irrational are European nutrition and health claims laws that drink manufacturers are even prevented from stating water can prevent dehydration! Ultimately, of course, the only beneficiary from draconian restrictions on the communication of natural health-promoting information is the multinational pharmaceutical industry. Anything that interferes with the trillion-dollar-a-year drug sales of this disease investment business is perceived by it as a direct threat to its profitability and existence. Seen in this light, the achieving of Health for All and Food for All in our global Movement of Life project is directly dependent on overcoming the regulatory censorship of truthful speech in the area of natural health science. For anyone seeking to understand the controlling role played by politics in twenty-first century healthcare, there is probably no better place than this to start.